Young people with disabilities have poorer mental health than their non-disabled peers. However, people with disabilities are more likely than others to experience financial hardship and low social support, both of which have been linked with poor mental health outcomes. 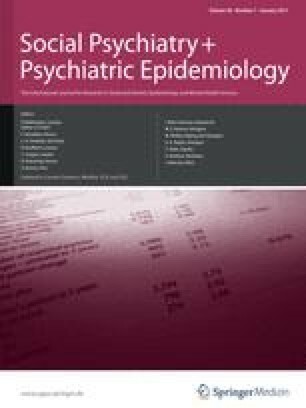 This article explores the extent to which the relatively poor mental health of young people with disabilities is related to the social conditions in which they live. Secondary analysis was performed on Wave 6 (2006) of the survey of Household Income and Labour Dynamics in Australia (HILDA). This nationally representative sample included 3,392 young Australians, aged 15–29, of whom 475 reported having a long-term health condition, impairment or disability. Young people with disabilities reported poorer mental health than their non-disabled peers. However, this relationship was moderated by both social adversity and social support, with minimal differences in mental health observed between the groups under conditions of high social support and low financial hardship. The results suggest that disability represents a potential adversity that may be exacerbated or ameliorated by the effects of wealth/financial hardship and social support. It may be possible to improve the mental health of disabled people by addressing their social exclusion. This research was the outcome of the collaboration “Achieving Better Health Outcomes for Youth with Chronic Health Conditions: A Pan Disciplinary Approach”. The collaboration was seed-funded by the Australian Research Alliance for Children and Youth, whose support we greatly appreciate. We would also like to thank the other collaborators for their participation and contributions. This paper uses unit record data from the Household, Income and Labour Dynamics in Australia (HILDA) Survey. The HILDA Project was initiated and is funded by the Australian Government Department of Families, Housing, Community Services and Indigenous Affairs (FaHCSIA) and is managed by the Melbourne Institute of Applied Economic and Social Research (Melbourne Institute). The findings and views reported in this paper, however, are those of the author and should not be attributed to either FaHCSIA or the Melbourne Institute.